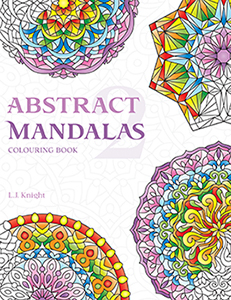 UPDATE – JUNE 2018: A second edition of Abstract Mandalas 2 has now been published, and this first edition is no longer available. To buy the new edition, or to learn more about the book, visit Amazon.com / Amazon.co.uk or search for 1720809631 on your local Amazon site. You can also buy a digital version from Etsy here.